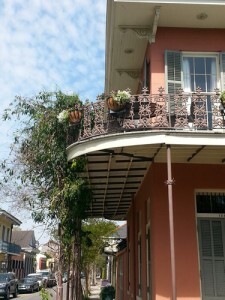 The historic Vieux Carre is now recognized as a treasure, but it is not always treated as such. In fact, with literally millions of visitors visiting here every year now, there seems to be an endless parade of people who would exploit the Vieux Carre for their financial gain at the expense of the community good. Only by joining together can we keep the Vieux Carre intact, for the enjoyment of all… and for future generations. No one can do it alone. That’s why we need you to join VCPORA today. Who is eligible for membership in VCPORA? OWNER – These members have title to Vieux Carre real estate. They include homeowners, residential investors and owners of business property. RESIDENT – These members live in the Vieux Carre but do not own property. Their presence makes this category an extremely important one for keeping the Vieux Carre a living, viable,, diverse community. COMMERCIAL – These members operate businesses and shops in the area. They may be shop owners, self-employed, managers, leaseholders or employees. ASSOCIATE – These members are from outside the Vieux Carre – whether from across the city or across the country – who are interested in protecting the Vieux Carre. Each category of membership is represented on the Board of Directors, who guide the affairs of the general membership. Elections are held annually.